It started, as most obsessions do, harmlessly enough: with just two ceramic figurines. It has since escalated into an art project that has rendered Bill Staubi’s powder room unusable. 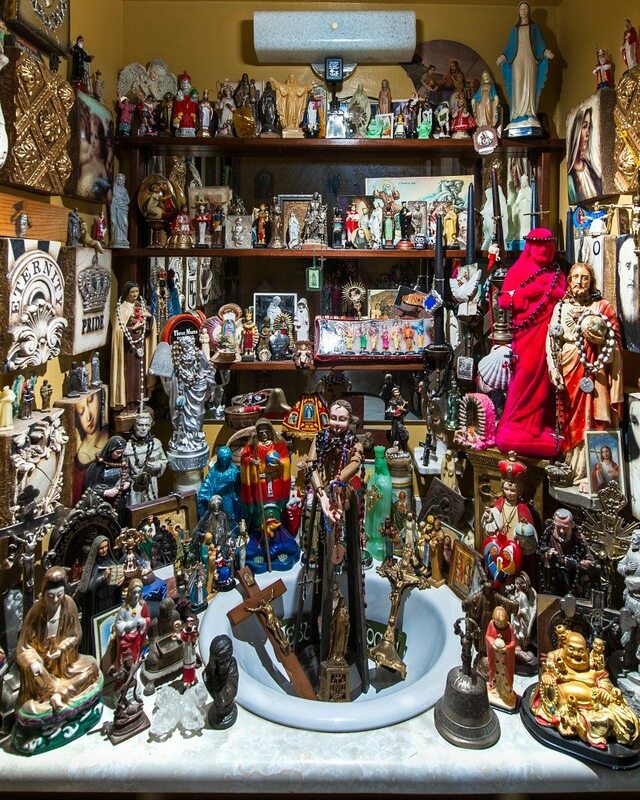 He calls it “the grotto,” a word used to describe a natural or artificial cave, and he has no idea how many objects it holds, though he can vouch that it’s definitely close to 300. He has only one rule: pieces can come in, but nothing ever leaves. “It started innocently enough,” says Staubi, 60, an art collector and hobby artist whose two-bedroom Centretown apartment overflows with whimsical and serious art. “I got Saint Teresa and Jesus in a box of things from a York Street antique store that was closing. I was buying odds and ends, and the store owner quietly put these two in my box. I have enough respect for other people’s feelings about religious symbols that I couldn’t just throw them away.” Later, he found another plastic Jesus, so it went in the powder room too. No question, the grotto is full of kitsch — tacky renderings of everything from Jesus and Christian saints to the grim reaper, Buddha, and Vishnu. But it also houses fine art. There’s a photograph by local artist Darren Holmes and a sculptural piece by Chantale LeClerc, who was inspired by highway memorials. There are 17 plaques by B.C. artist Sid Dickens. 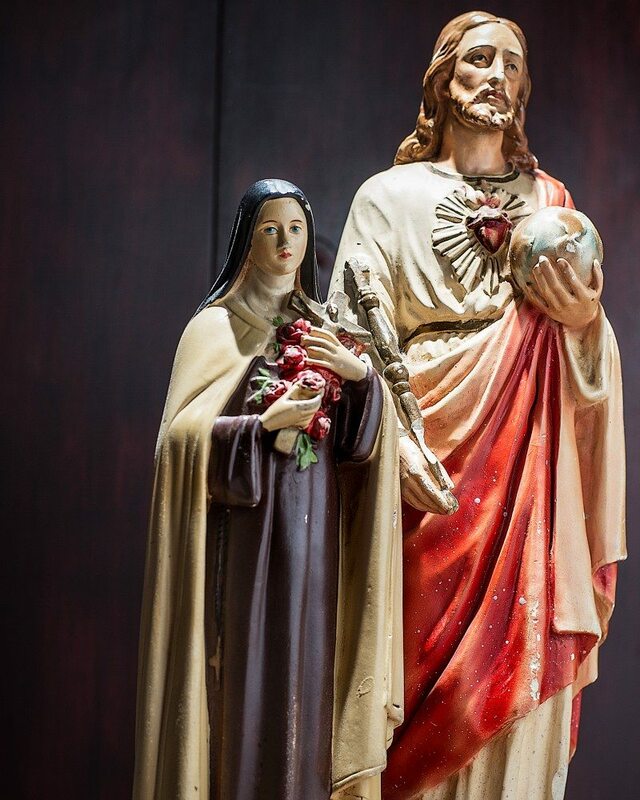 And mustn’t forget Saint Teresa and Jesus — the two who started it all.